Founded in the 80s, Falke is a luxury German hosiery company renowned for its supreme quality socks and tights. Meticulously crafted from the finest materials, each elegant and timeless design is exquisitely stylish and wonderfully comfortable. Fusing impressive experience with modern sensibility, the classic brand is the go-to destination for outfit basics. 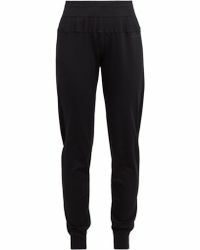 Invest in a wardrobe staple with Falke trousers, featuring a wide variety of patterned and plain leggings alongside insulated tights.